Why worry about your remodeling project? Over the past 18 years Urban Kitchens has proven that designing and building kitchens and bathrooms can be worry free. Our experience with interior remodeling projects s extensive. We design and build kitchens, bathrooms and many times work with clients to provide whole-house renovations. Working with a firm that can design and build your project provides the best designed and timely built projects. The Design. We provide free initial consultations that offer you the opportunity to meet us, discuss your project and determine a budget that you will approve. The Contract. Urban Kitchens believes that a fixed price contract is essential to worry free projects. We promise no Change Orders. The Craftsmen. We use a lead carpenter system that provide a hands-on experienced carpenter who oversees every aspect of the project. Our licensed electricians, licensed plumbers, tile installers and countertop fabricators have been with us for over 10 years. They are dedicated to creating a project that is 100% satisfactory. The Materials. Urban Kitchens always provides quality materials that are selected and approved by the homeowner. We work with local showrooms and pass our discounts on to our clients. Buying locally guarantees quality products with warranties. The Warranty. We have a two-year warranty and many of the cabinet lines we offer have Limited Lifetime Warranties for the cabinets. Urban Kitchens is located in Oklahoma City 4410 North Western, in the heart of Western Avenue. Jo Meacham, the principal of Urban Kitchens, holds a master's degree in architecture and historic preservation from the University of Oklahoma. She began her career in planning and preservation with the City of Oklahoma City. 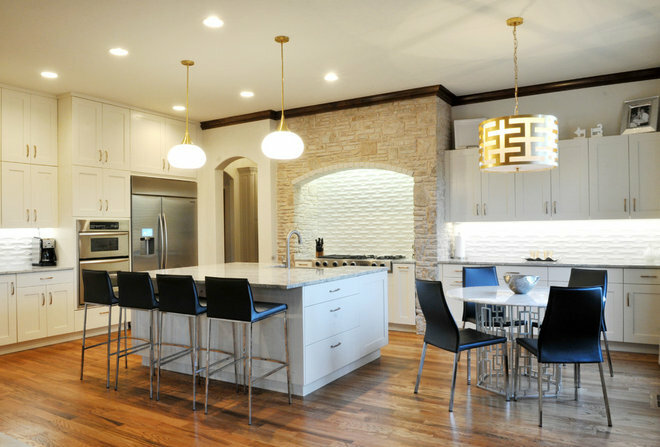 Since founding Urban Kitchens in 1999, Jo has designed and built hundreds of kitchens in the historic areas of Oklahoma City, including Heritage Hills, Mesta Park, Edgemere Park, and Crown Heights, as well as Edmond, Norman, and throughout the state. In her own words: “Every style can be updated for a modern feel. 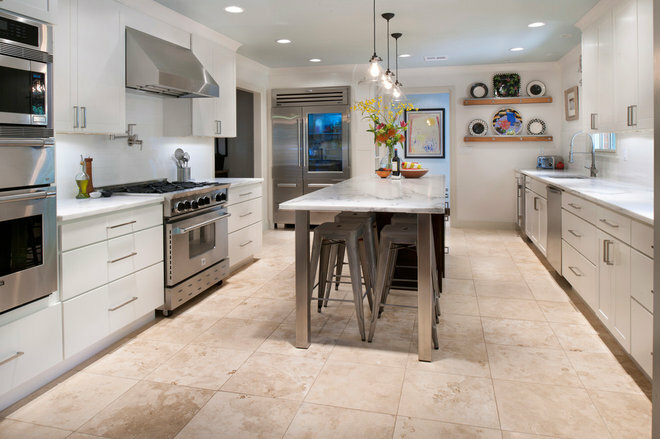 These days, we’re focusing on simplification for kitchens.”While there’s a seemingly endless stream of gorgeous ideas for your kitchen, how do you ensure that your new space blends with the rest of your home? The answer is closer than you think, kitchen designer Jo Meacham says. 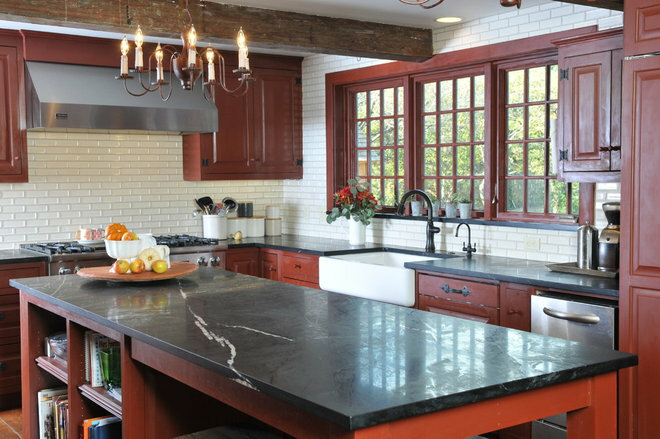 “By using the historical and architectural context of the existing house, the kitchen can be a reflection of its surroundings,” says Meacham, the owner of Urban Kitchens, a kitchen and bath design firm in Oklahoma City. 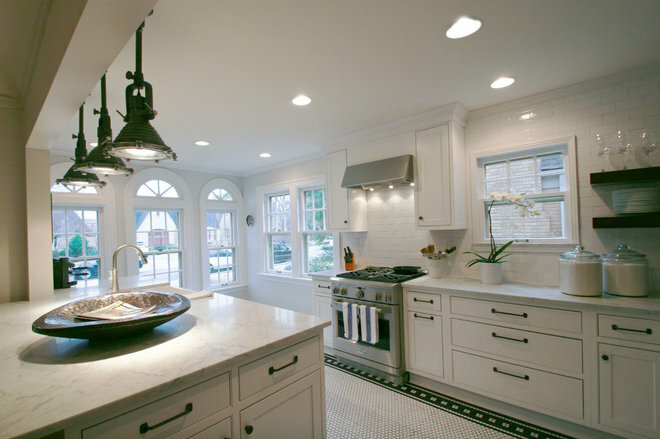 See below for Meacham’s tips on how to bring your kitchen into the present day. The Edmond home seen here, built in the 1980s, had a brick and stone exterior. 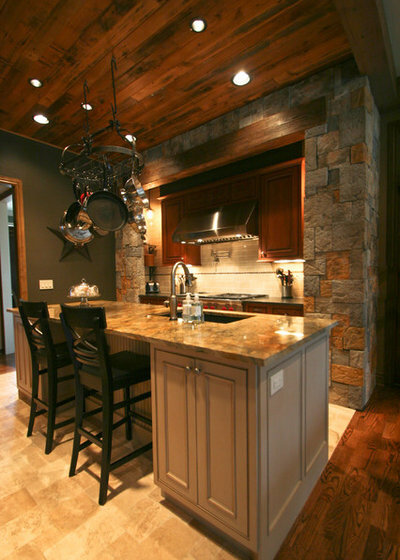 The kitchen redesign included a new stove surround built using stone similar to that of the exterior, and reclaimed lumber and beams on the ceiling. “It’s a comfortable kitchen with materials that fit the home’s woodsy setting,” Meacham says. More: For more information on Jo Meacham and examples of her work, visit Urban Kitchens’ Houzz profile.